Himalayan Coarse Salt is pure, hand-mined salt found naturally occurring deep inside the pristine Himalayan Mountains of northern Pakistan. 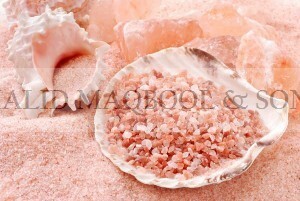 Himalayan coarse salt is believed to be the purest form of salt available. This salt is known for it’s stimulating and soothing properties. We love it in salt bars for it’s exfoliating and moisturizing abilities, with the coarse size sprinkled on top for a wow factor. Color ranges from white to deep pink. Himalayan coarse salt contains an almost identical set of elements to those in our body – in the same proportions as occur in our blood. The distinctive rose pink colour is a result of the high mineral content in the salt (iron, potassium and magnesium). These are all vital for good health. These multihued crystals range in color from sheer white to varying shades of pink and red. This is because of the assortment of elements and iron it contains. 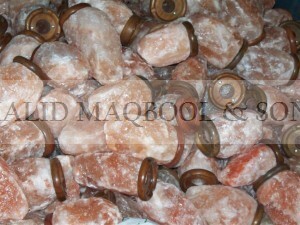 These clean crystals are “Gourmet Food Grade” and the highest quality Himalayan salt. Our Himalayan Coarse Salt does not contain any anti-caking or free flowing additives, nor does it contain any conditioners. It is just pure unrefined “raw” salt that can be used in many gourmet applications including seasoning, bringing, and baking.Health professionals, spas and individuals use Himalayan Coarse Salt to heal the body and relax the mind because of its long history of use in folk remedies to stimulate circulation, lower blood pressure and remove toxins such as heavy metals from the body.It’s also a fantastic source of iodine – an essential mineral that protects against thyroid problems. This salt is as Mother Nature intended is brilliant for adding mineral rich flavour to your protein packed meals.These diamond-like crystals of natural Himalayan Coarse Salt contain trace minerals essential for life. Used for making Sole, a daily infusion of energy balancing elixir. A highly effective product for the normalizing of mineralization in the human body. This salt has been shown in a clinical study to be effective in helping to stabilize pH and Oxidative Stress numbers in the human body. Hydration indicators showed an average of 10‰ increase. Thrill your cells and skin by changing ordinary Bath water into a mineral smorgasbord by adding 2-4 cups of Himalayan Coarse Salt to a bath to be absorbed transdermally [through the skin]. Naturally rich in 84 nourishing and skin-replenishing minerals, bathing with Himalayan Coarse Salt is truly a renewing and therapeutic experience for mind & body.The replenishing nutrients stimulate circulation, relax the body, detoxify and soothe sore muscles. Transdermal absorption is a most effective way of absorbing, and thus replenishing minerals our bodies may be lacking. Himalayan Coarse Salt helps to balance the body’s pH level through its alkalizing effect. Many health problems occur due to the body becoming too acidic, so using Himalayan Coarse Salt is an easy way to help to neutralize the acidity and balance the pH. We tend to be most acidic in the morning when we wake up from a night’s sleep, so taking a few teaspoons of the Sole solution first thing in the morning is a great way to alkalize at the start of the day. 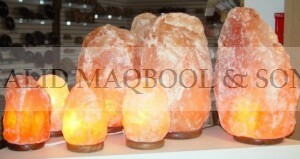 Himalayan Coarse Salt replaces the electrolytes lost through perspiration. Taking the salt dissolved in some water is a great way of restoring the electrolytes in the body thereby preventing cramps. The regular use of Himalayan Coarse Salt in preference to ordinary sodium chloride has been found to balance blood pressure. Since the Himalayan Coarse Salt is a balanced substance and the minerals are in balanced proportion with each other, this salt can help to balance the intracellular pressure. The salt can help to break down cholesterol in the arteries. 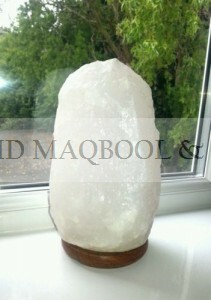 Himalayan Coarse Salt contains 84 minerals, including calcium, magnesium, potassium, iron, zinc, selenium and manganese. The minerals are found in correct proportions for efficient absorption by the body. The salt mirrors the mineral content of our bodies so is a great way to restore the mineral balance. Sodium chloride can lead to water retention as when using that form of salt, the body retains water in order to protect itself from the harsh sodium chloride. Himalayan Coarse Salt hydrates the body without leading to extra weight caused by water retention. 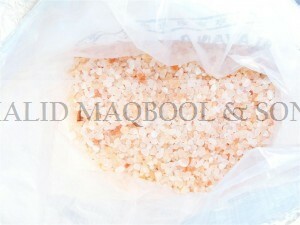 Since the Himalayan Coarse Salt is a whole, unrefined substance, it nourishes the body and the body can feel satisfied. This can lead to preference and enjoyment of natural and wholesome foods and cravings created by refined foods being reduced or eliminated.